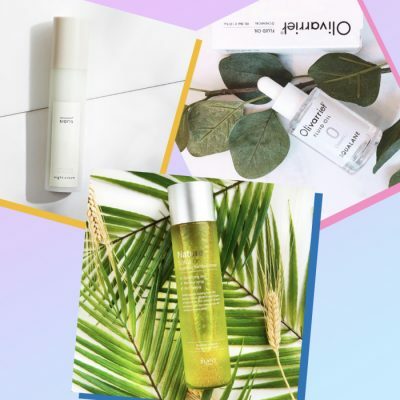 There are three different versions of The Plant Base ampoule: one that contains hyaluronic acid, one that contains ceramides, and one that contains mushroom extract. Three dedicated Klog readers tried each one and reported back. Every beauty expert says the same thing. 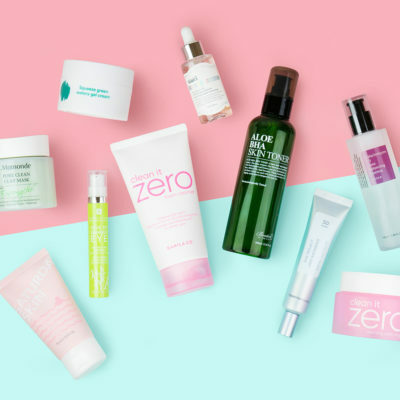 The best way to know if you should buy a product and the best way to figure out if a product is going to work for your skin is to check un-biased reviews. Meet Dory, Tamara, and Dev, new contributors to The Klog who are just as obsessed with skin care as you. Here’s what they thought of Soko Glam’s newest curation. I’m at the point where I don’t have too many skin issues. I previously had bad acne in my early to mid-20s, and now I just get minor breakouts around that time of the month. I currently have a small dark spot from a previous breakout around my mouth area. 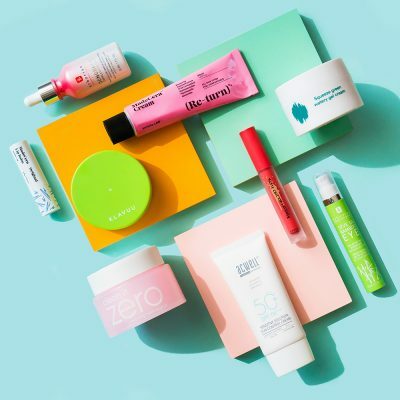 I have sensitive skin that briefly acts up from time to time so I was actually experiencing some minor redness prior to testing out any new products. Though being a little older, I wanted to seek out some more anti-aging products that would help keep my skin firm and basically keep it the same as it is now or at least help prolong its current condition, hence: stop time or “time stop”. What did you think of the ingredients? 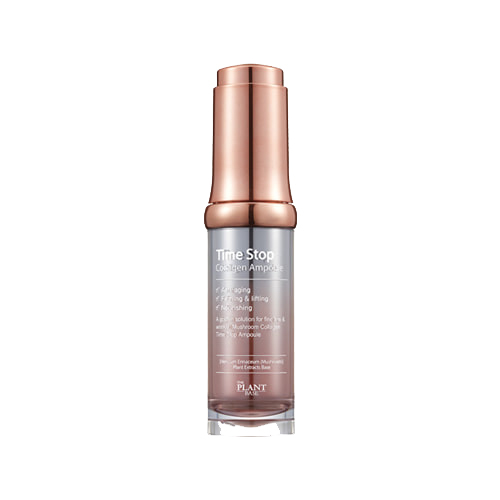 The Plant Base Time Stop Collagen Ampoule claims to be anti-aging, firming & lifting, and nourishing. The main ingredient is a whopping 76.53% Hericium Erinaceum (Mushoom) Extract to help prevent skin damage with adenosine as the active ingredient to strengthen skin and promote collagen production. 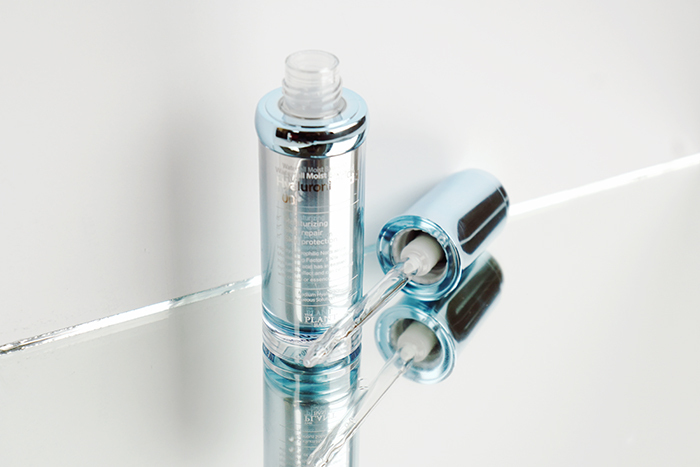 SYN-COLL, a synthetic tripeptide to help slow down aging, is also included. It’s not everyday that you see peptides in Korean skin care. This allows for plumper and bouncier skin. A bunch of nourishing ingredients are added as well: licorice root extract aloe barbadensis leaf extract, and centella asiatica extract. It’s also worth noting that the product is free of parabens, pigment, synthetic fragrance, benzophenone, DEA, and mineral oil. Prior to incorporating the Time Stop Collagen Ampoule, I had already stopped using all actives (tretinoin, vitamin c, AHA) on my face. This was so I could focus on the ampoule’s results, and I wouldn’t have to deal with the occasional irritation and dryness/flaking typically associated with actives (especially tretinoin/retinol). Although the instructions on the ampoule’s box say to just apply the product twice a day to face and neck, I was advised by The Klog team to mix two to three drops of the ampoule into my moisturizer for the first seven days, and then just use the ampoule between the toner and moisturizer steps thereafter. I rotate a couple of different products here and there, but for the most part my skin care routine for the next 10 days after cleansing were: Son & Park Beauty Water (as a cleansing/exfoliating toner), three layers of the Neogen Real Ferment Micro Essence, two drops of the ampoule, and then moisturizer. I sometimes used the Son & Park Beauty Filter Cream Glow for my day cream/makeup primer hybrid, and mixing the ampoule with it during the day, didn’t cause any issues or weird reactions. My skin didn’t have any bad initial reactions to the product. The thing that I first noticed (and this could be because I don’t have any skin texture issues), was that I woke up with really soft skin the next morning. 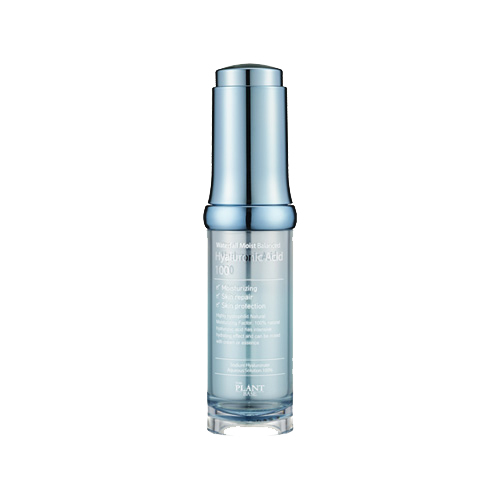 The ampoule absorbs really quickly onto your skin and the softness just felt more noticeable after washing my face. I’m not sure if you’re able to tell much from the photos (it typically takes 3-6 months to see results from anti-aging products). However minor it may be, I really felt like the ampoule temporarily made my face more plump over the 10 days that I used it. Like I previously mentioned, I haven’t really used any actives in awhile prior to using the ampoule, so I felt like most of the results that I would have seen with my actives, were still there. Sometimes when I don’t use actives for a few days, I can feel my face being less plump, less soft, etc. 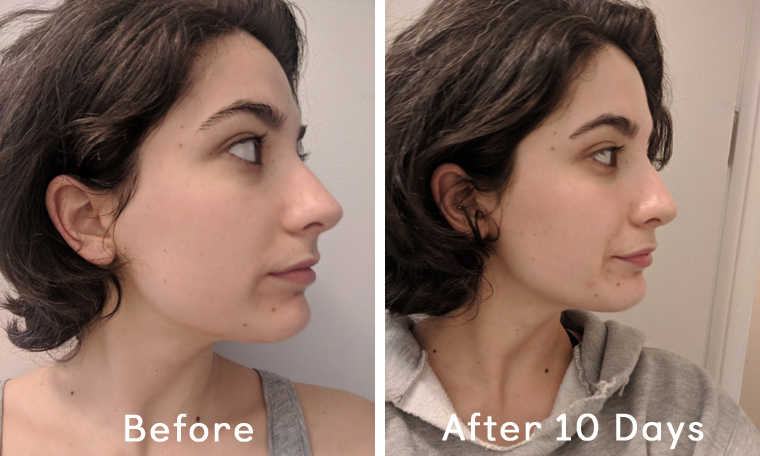 While 10 days isn’t enough to see any results around my eye area, I felt like my smile-line area and my overall face looked more plump. 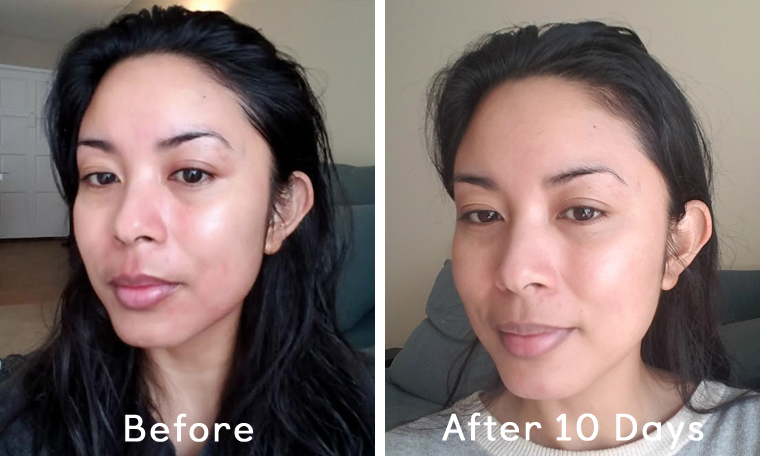 Considering I didn’t use any other special serums/treatments along with this ampoule, it was a surprise to see my face remained even and bright as well. It is also worth nothing that my redness calmed down considerably (probably due to the licorice root and centella asiatica). I would definitely use this product again. I feel like it adds a little something to help retain your youthfulness. I recommend this product if you’re looking for some firming & lifting and some possible long term anti-aging benefits. I definitely look forward to seeing the results after three to six months of use. In winter, I struggle with dryer skin. While I don’t have dry patches, my skin will feel tight throughout the day. This was my first winter in New York City, which meant my very first winter with a radiator. While the noise eventually subsided, it immediately dried my skin overnight, especially since the radiator is right by the bed on the side I sleep on. It also gets so hot that I have to open the window. So, not only is the radiator drying my skin, but so is the cold air coming in from outside. Needless to say, I was in need of a hydrating skin product. I had already been using an ampoule with hyaluronic acid, but it was not at the same percentage. I also found that this other product was too watery and soaked into my skin so quick that it didn’t necessarily have any hydrating effects on my skin. 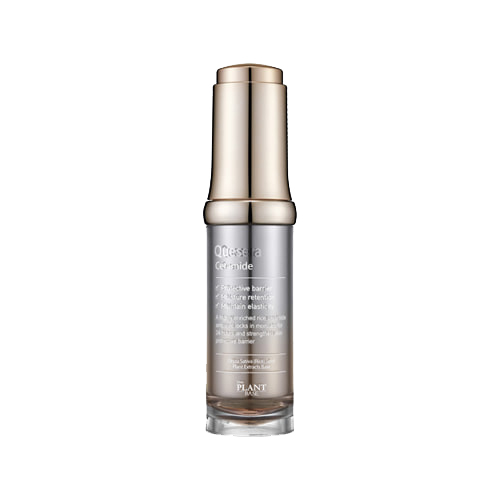 In contrast, Plant Base Waterfall Moist Balanced Hyaluronic Acid Ampoule is a thick, clear serum that slowly sinks into the skin for long-term hydration. It has an almost gel like texture and has no scent. I love that it comes with a dropper as it is perfect for maintaining quality hygiene. It also stops me from using too much product. How did you start using the product? How did your skin react at first? For the first week, I introduced this product into my skin care routine by mixing it with a my moisturizer morning and night. The moisturizer I used was COSRX Oil-Free Ultra Moisturizing Lotion, and the ampoule mixed well with this lotion and spread evenly. I did find that my face felt sticky after applying the ampoule and lotion mix. I do know that it is due to the Waterfall Moist Balanced Hyaluronic Acid Ampoule as the lotion had never left my face sticky before. At first I thought I had used too much ampoule, but even after adjusting I still had stickiness. It did subside as the product soaked into my skin. 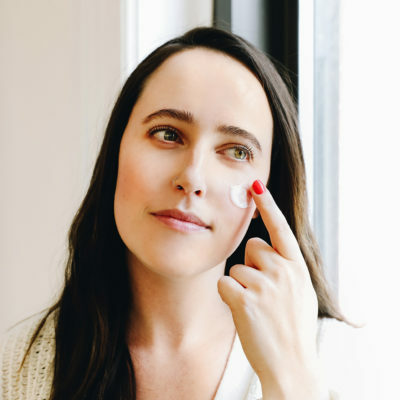 I was nervous about my skin reacting to this new product, especially as I had never used such a strong percentage of hyaluronic acid before. But, I am happy to say that this product did not cause any irritation on my skin. After two days of use, I noticed my skin was not as tight when I woke up in the morning. For three days after mixing with my lotion, I used the ampoule alone in the ampoule step of my routine. I found that the product was easy to spread across my skin, but it still left the sticky feeling. However, this time it subsided as soon as I added my final lotion step. To accurately test the effectiveness of this product, I stopped using the previous hyaluronic acid product I had been using. I also maintained the same routine the entire 10 days—double cleanse, tone, AHA/BHA exfoliator (evening), anti-aging fermented product (evening), Waterfall Moist Balanced Hyaluronic Acid, eye cream, lotion. Overall, I like this product, but I do struggle with the sticky feeling. It isn’t fun to go to bed feeling like everything is going to stick to your face. The same goes for the morning as I have to wait longer before applying makeup. I would continue to use this product, but only in the evening and maybe not on a daily basis. I believe this product would be great for someone with dry skin, even drier than mine. I don’t believe someone with oily skin would like this product, as the sticky feeling could make them feel and look as though their skin is oilier. Over the course of many years I struggled with a few skin concerns, including hyperpigmentation and dull skin. It doesn’t help that I have combination skin. 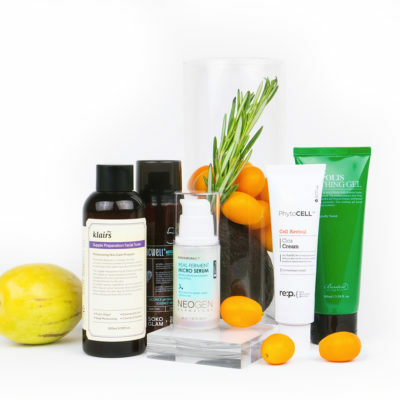 This has made it difficult to find products that cater to both oiliness and dryness. After various attempts with a few products, I was finally able to find a product that not only balances my skin, but also protects my skin barrier. What I loved about the Quesera Ceramide Ampoule was how well it aided me with these concerns. At first use, I was surprised by its lightweight consistency. In fact, I almost jumped for joy because most of the time heavier products are usually a gamble with my skin. The ampoule has little to no scent which works well for skin care enthusiasts with sensitive skin who are prone to react negatively towards certain fragrances. When I applied the product onto my skin, I received a comforting feeling—the ampoule would effortlessly glide across my skin thanks to its smooth texture. 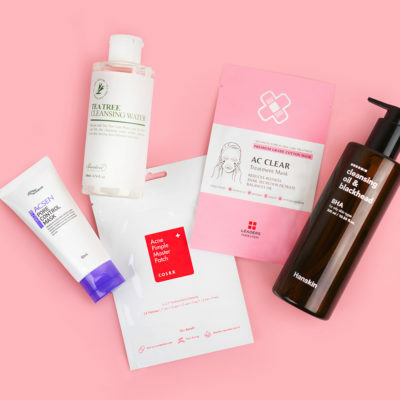 Like any K-beauty enthusiast, I started my routine with the double cleanse. I then moved on to toning, which is my all-time favorite part of my routine, using the Acwell Licorice pH Balancing Cleansing Toner followed by the Neogen Real Ferment Micro Essence, so when trying this product, I had to find the proper step to incorporate it into. When first introducing the ampoule to my routine, I began by applying 2-3 drops along with my favorite moisturizer. After a week’s use, I applied it separately in the “ampoule” step of my routine, but believe that either method of use will prove helpful to the user. What I was thankful for the most after first using this product was how my skin didn’t react negatively at all. 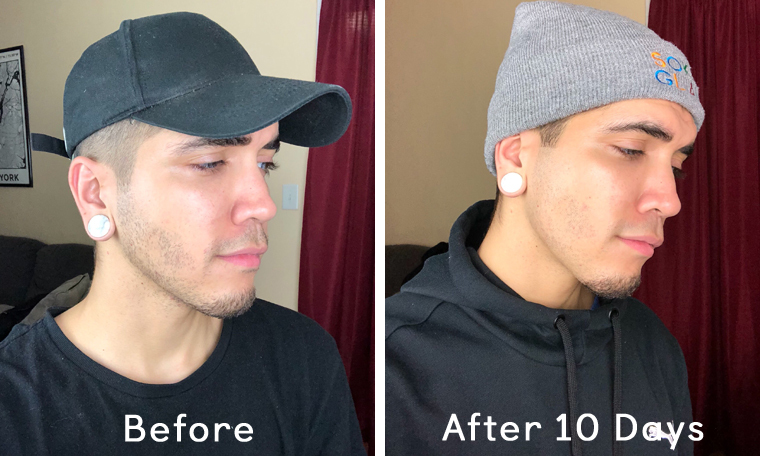 At the end of my first week I noticed my skin having a youthful glow and consistently staying hydrated throughout the day while keeping my oil production in check and helping to plump out any fine lines around my eyes and forehead. One of my biggest concerns is anti-aging and ensuring that I hydrate my skin in any way possible, and it only brought me more joy to see that the ampoule also helps with avoiding wrinkles which for me is always a plus! This product works well for those like me who suffer from occasional dry patches and flaky skin, especially during those harsh winter months I experience here in NYC. I believe it can also help those that need an extra boost in their routine to combat exposure from the environment, and recuperate from any past use of different skin care products that may have done harm to their skin barrier. I believe that after using the product for a certain amount of time, it produces great results, and I would recommend it to those who were in a tough position like me where it becomes difficult to find trustworthy products that can resolve these skin concerns. 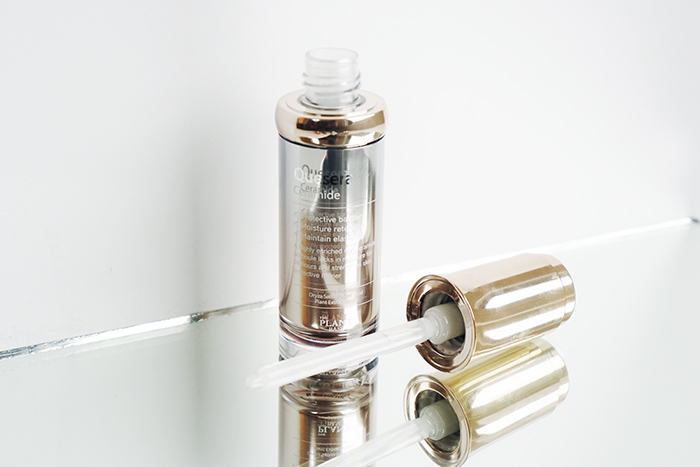 I’m really looking forward to seeing what more this miracle ampoule will do for my skin! 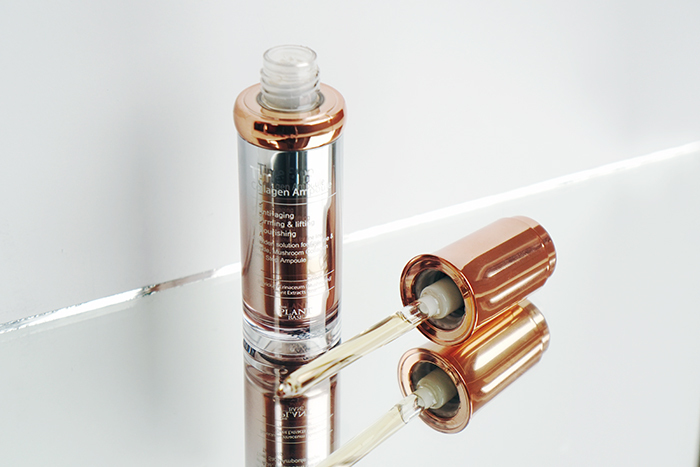 + Have you tried a Plant Base ampoule? And which of our new Klog contributors do you resonate with most? Share your thoughts in the comments!